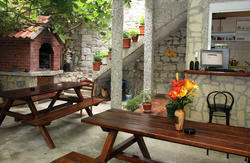 Hostel Split Wine Garden is a quaint apartment that provides our guests a comfortable home environment located in the historical center of Split behind the National Croatian Theatre where a friendly staff is happy to help. Day shopping, museums, mountain park, bustling nightlife, and a variety of sight-seeing and beaches right at your doorstep! We are about 5 minutes walking distance from bus station, train station & ferry port and 2 minutes from Diocletian's Palace. Our cheerful rooms have large windows over-looking our garden terrace with a newly added cafe wine bar in our courtyard. 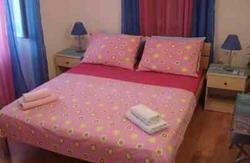 The rooms have been refurnished with new beds and air conditioners. The bathrooms have been fully renovated. The main room is equipped with refrigerator, TV and DVD. There is free WI-FI internet for your personal notebooks accessible from the entire property. Helpful tourist information, directions, relevant happenings, and recommendations are provided on arrival in English, Croatian, or Italian speaking hosts. If you are interested in history and culture, we can arrange experienced city tourist guide for you (Inform us several days prior to arrival by email or telephone). A simple 5 minute walk through the old center. Directions from port, train and bus stations; go towards the palace curving to the Left and continue along the Riva, the seashore walk lined with cafes under large white umbrellas. 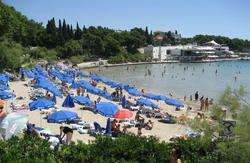 Towards the end, turn Right up a main street called Marmontova Ulica, with the sea behind you. Approximately 100 meters, the street leads to the open piazza directly at the front of the Croatian National Theatre. 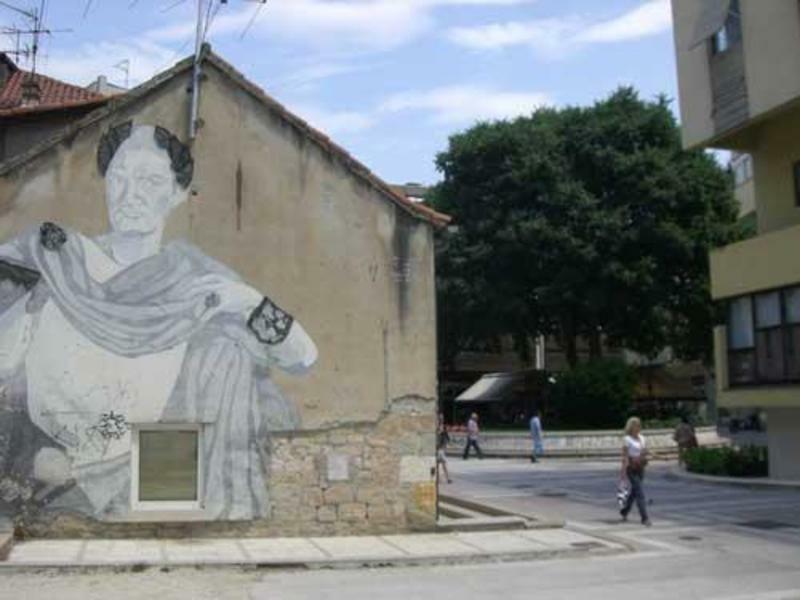 Coming along the left side of the theatre building to the back, you will see a wall painting of Diocletian. Facing the mural, the hostel is on your left in the corner of the L-shape building.